↑ "#83 Royal Descents, Notable Kin, and Printed Sources: A Third Set of Ten Hollywood Figures (or Groups Thereof), with a Coda on Two Directors". AmericanAncestors.org. April 18, 2008. สืบค้นเมื่อ January 21, 2013. 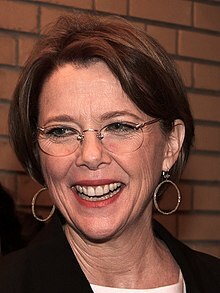 ↑ "Annette Bening Biography: Film Actress (1958–)". Biography.com (FYI / A&E Networks). Archived from the original on July 3, 2016. สืบค้นเมื่อ February 6, 2017. หน้านี้แก้ไขล่าสุดเมื่อวันที่ 7 มีนาคม 2562 เวลา 12:20 น.